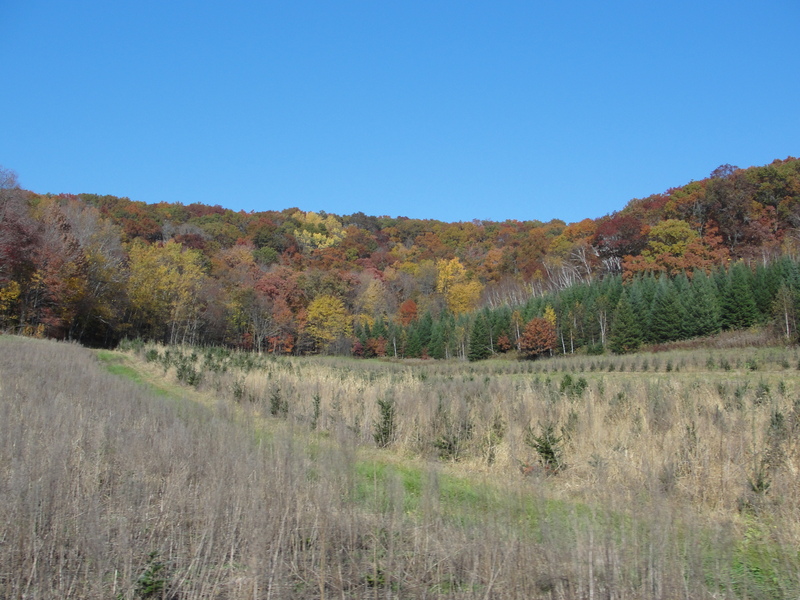 This past weekend, Jason and I took my kids to Pleasant Valley Tree Farm in Elk Mound, WI. 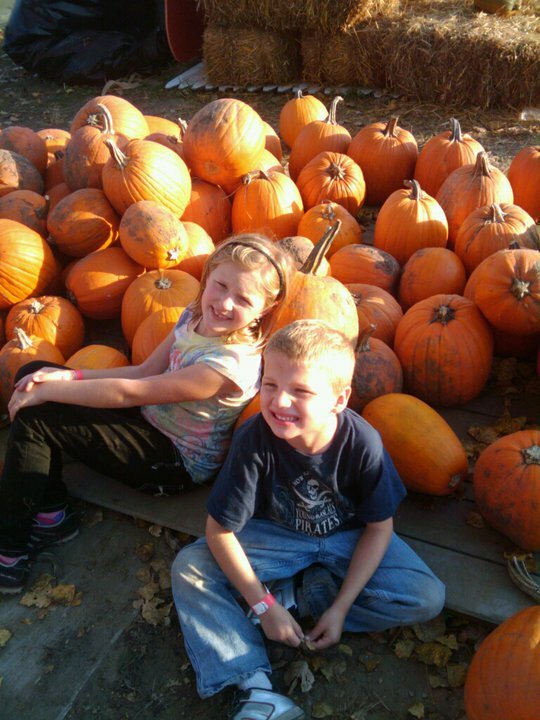 Going to the pumpkin patch has been a tradition with the kids and I since Grace was about 2. 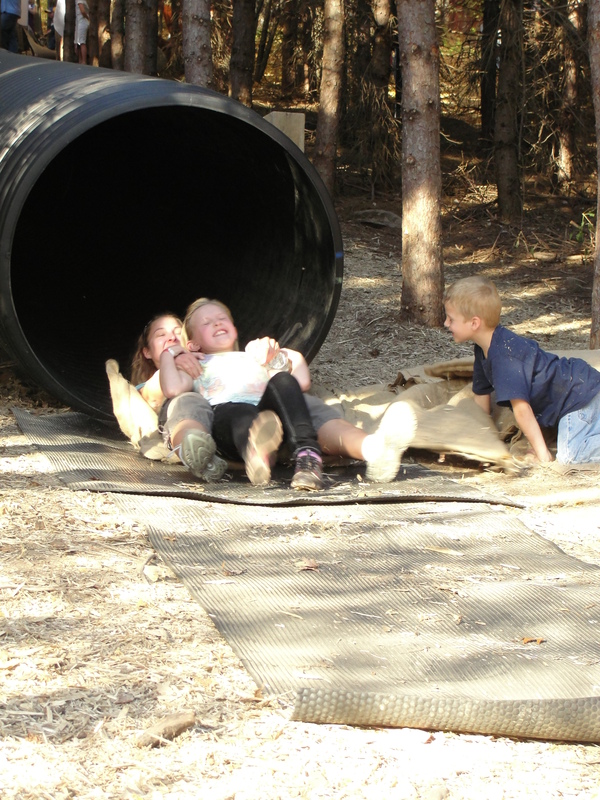 We’ve been to several different ones over the years, but Pleasant Valley ranks in the top 2 of all the ones we’ve been to (Pinehaven Farm in Wyoming, MN would be tied with this one on the fun factor if not slightly better). After the ride, we went through the “spooky trail”. The kids were finally not scared this year (though there were a couple parts they weren’t sure of – tunnels to walk and crawl through). The trail through the woods was a lot of fun. 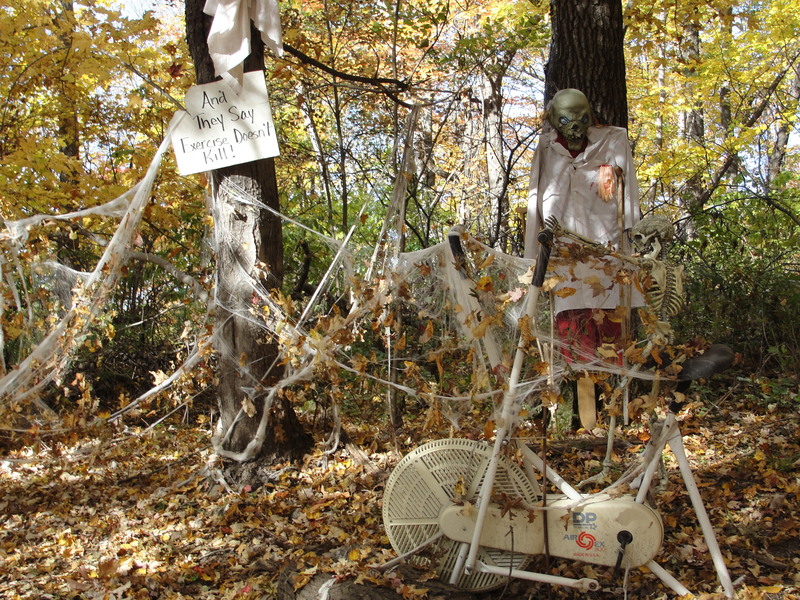 Every year, they add a bit to the spooky characters in the woods. We made a game of trying to count how many Darth Maul masks there were. We counted 5, though I’m sure there were more! As the day went on, we let the kids get lost in the corn maze for a while. We also watched the pumpkin cannon (2-3 pumpkins at a time), fed some animals in the petting zoo, and held some kittens and puppies, went down the 80 ft slide (3 times – Jason and the kids each went solo once, then Michael went solo, while Grace and I went together, then the kids and I all went down together)… Grace and Jason went to shoot some corn cobs, while Michael wanted to play on the playground (one of his buddies from Monkey Business was there, and he wanted to play with him). It was awesome being able to split up for that short time. Everyone got to do what they wanted without anyone being upset. 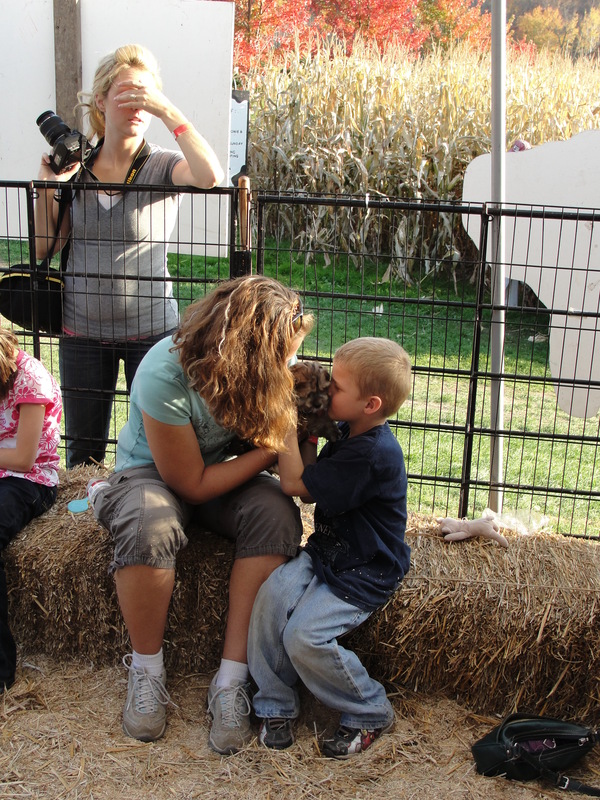 As we wrapped up our time at the pumpkin patch, Jason and the kids crawled around in the hay bail fort. It’s always been a favorite activity of mine there. This year, I didn’t go in, instead watched Jason crawl around in there! 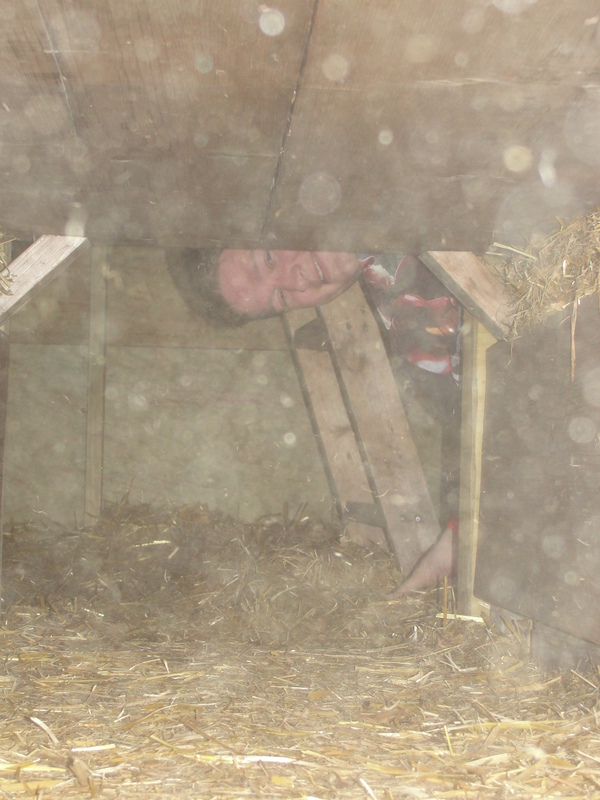 He said it was a bit claustrophobic in there, but he still seemed to have fun (especially as he was throwing hay at me from inside)! The kids also jumped in the bounce house. Then, we went to pick out our pumpkins. Since Gordy’s had pumpkins on sale – $1.88 for any size pumpkin, I wasn’t going to spend $5/pumpkin for as many as we usually get. I let each of the kids pick out one, then we went to Gordy’s to get some more. The next day, we carved a couple of the pumpkins. Grace made hers a Justin Bieber fan, while Michael made his a Ninja. 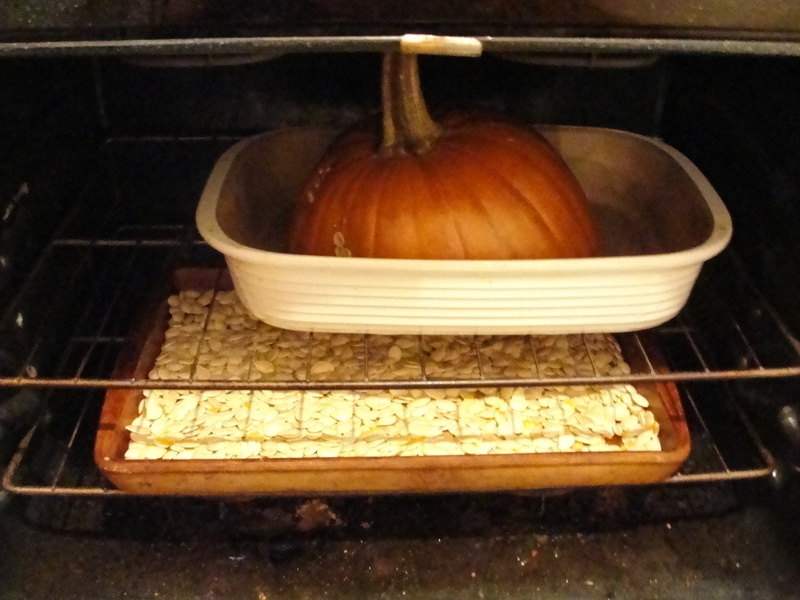 The kids don’t always enjoy digging in the pumpkin guts, but they LOVE when I bake the seeds! Good thing the sensory experience of digging in the guts is one of MY favorite parts! With the kids’ two big pumpkins, and the one I cut up to bake for making pumpkin bars, we had LOTS of seeds to bake and eat! The kids eat them like popcorn!! 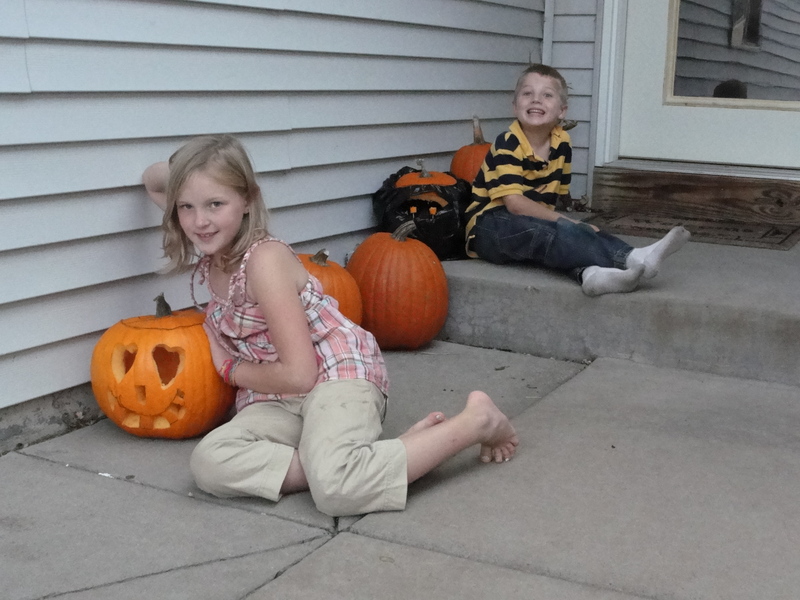 My house smelled awesome, the kids had fun (the grown-ups did too)… It was a great weekend! That looks fun, I haven’t been on a hayride OR to the pumpkin patch in years! !